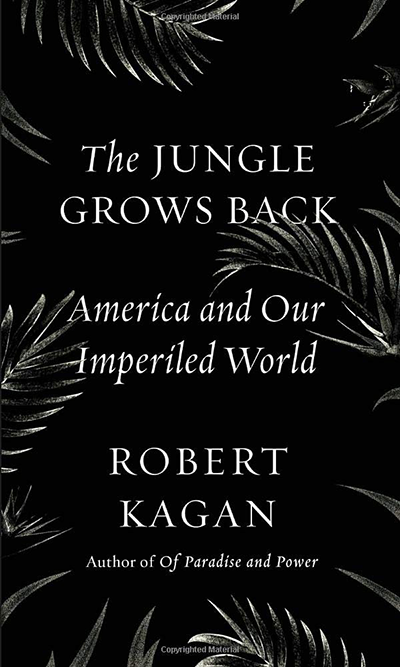 So states political analyst and opinion columnist Robert Kagan midway through his latest work, an essay published in late 2018 under the title The Jungle Grows Back: America and Our Imperiled World. In Jungle, Kagan provides his analysis of the current global political climate in which nationalism and autocratic governance appear to be in the ascendency and international liberal norms and democratic governance seem to be in retreat. Kagan's several decades of prominence as a member of the commentariat, and his already lengthy history of opining on international political trends, give him an acknowledged voice in the current public discussion of a changing (many would say declining) international order. The present global political state of affairs — one of Trumpism in the United States, significant nationalism and even xenophobia in Europe, setbacks to popular empowerment in the Middle East, and increased autocratic governance around the globe — is ripe for such an analysis. At the heart of Kagan's argument is the idea that the United States should (continue to) lead an effort to maintain a liberal international order based on rule of law, the free and market-based flow of goods, services and information, freedom of the seas and skies, respect for human rights and dignity, and similar principles. Kagan argues that these principles only came into the global order under the Pax Americana that arose in the aftermath of World War II. With the fall of the Berlin Wall and dissolution of the Soviet Union in the latter part of the last century, this order came to be seen as the natural state of international affairs. It was a newly enlightened world of economic interdependence, global supply chains and labor force, and worldwide Internet-based, instant information dissemination and availability. In 1992, political scientist Francis Fukuyama famously dubbed this state of affairs "the end of history." While Fukuyama's thesis has been widely criticized and rejected (including by Kagan in Jungle and, to some extent, by Fukuyama himself), what critics of the analysis have failed to substantiate is that the type of international order in ascendance after the breakup of the Soviet empire is, in fact, not the best arrangement for maximizing global peace, security and prosperity. What such critics of the end-of-history thesis have done — and Kagan does convincingly in his essay — is describe forces, essentially derived from human nature, that work against this order and thus, repeatedly, undermine its implementation. In Jungle Kagan does a good job of identifying and explaining such forces, and such aspects of human nature. In doing so he, ironically, implicitly accepts that a world order à la Fukuyama is, in fact, the kind of optimal international system we should be promoting and protecting. Kagan's first line sets the stage: "The American-led liberal world order was never a natural phenomenon." As he notes, long before the current era, philosophers and political theorists sought to connect modernization with a betterment of human behavior. Kagan dismisses such sentiments as a myth. "Scientific and technological progress and the expansion of knowledge, while capable of improving our lives materially, have brought no lasting improvement in human behavior" (p. 5). Rather, for the past seven decades there has been an international order promoting Enlightenment principles "because the most powerful nation in the world since 1945 has been a liberal democratic capitalist nation" (p. 9). Kagan then alludes to what might be taken as the first of those attributes of human nature undermining Pax Americana: human shortsightedness: "One can try to point out [to those who would end America's role in ensuring international order] that the costs and risks of not continuing to play this role will be much higher, but that is a hard thing to prove before events take their course" (p. 14). Kagan then sets off to recount and analyze the "struggle between political systems" of the early-to-mid twentieth century, examining the ideas and theoretical frameworks of the contenders in that struggle. From the American camp he includes William Jennings Bryant's prediction of a "final triumph" of "the idea of popular government" (p. 15) and "Woodrow Wilson's appeal ‘to make the world safe for democracy'" (p. 17). From continental Europe he cites the German preference for "duty, order and justice" over "liberalism and individualism," (p. 18) and Bolshevism's rejection of "the liberal principles of private property and individual rights" (p.17). After reviewing the militancy and chaos in Europe that led up to World War II, and the American reaction to it, Kagan sums up the then-prevailing American public preference not to get involved: "To them the risks and costs of action were obvious and immediate, while the costs of inaction were hazy and impossible to know or prove in advance" (p. 24). Essentially, denial and inertia as human traits (and public sentiments) undermine enlightened self-interest in addressing foreign-policy challenges. Kagan's next section, "The Birth of the New World Order," is more uplifting. He opens with an observation that is useful to keep in mind through the remainder of the book, especially as one observes political trends today: "World order is one of those things that people don't think about until it is gone" (p. 24). He presents the history of the "wise men" who developed American's post-war policy of internationalism, which was quite a new direction for U.S. foreign policy. He also notes that, while in the dichotomy of "realism and idealism" … "the architects of the postwar order were realists," "it was a realism in the service of liberalism, of ideals and principles that they believed were universal and irrefutable." He compares these "wise men" favorably with their historical forefathers, the founders of the republic (p. 35). Kagan's next two sections are a lengthy analysis of the Cold War period: "Life inside the Liberal Order," and "Life Outside the Order, the Cold War and its End." In the first, he cites the building blocks that allowed a liberal order to emerge: the Marshall Plan, the decision to keep American troops in Europe and Asia, America's commitment to the democratization of West Germany and Japan, its decision to maintain a global military force structure, etc. By providing a security, political and economic order (umbrella) to those nations embarked on this new liberal world order, America allowed its own principles and values to take root among what became the richest and most powerful nations of the world. Those nations found common cause in "their collective commitment to democratic capitalism" and "their dedication to the rights of the individual against the state." "States and societies within the liberal order became more humane in the treatment of citizens. … The poor were better cared for. Rights were continually expanded to hitherto unprotected minorities. Racialism and tribalism were dampened in favor of a growing cosmopolitanism. Extreme forms of nationalism diminished" (p. 56). Kagan also examines democracy (and its many shortcomings) in the postwar period, concluding that, despite its flaws, "Democracy has spread and endured because it has been nurtured and supported: by the norms of the liberal order, … and by the security provided by the world's strongest power, which happens to be a democracy" (p. 61). Turning his focus "outside the order," Kagan notes that in the early postwar years, Soviet communism did present a competitive ideology: "In a postwar world wracked by poverty and suffering, the appeal of communism remained powerful." However, America's (and the West's) dual policies of "containment" and "protecting and strengthening the liberal order as originally conceived at the end of World War II" ultimately prevailed. Why? Kagan cites "(George) Kennan's great insight … the Soviet communist system bore within it ‘the seeds of its own decay'" (p. 63-66). Kagan next proceeds to analyze "The Steep Price of Success." He notes that in a world not defined by an existential confrontation with a hostile (and well-armed) enemy (and ideology), the American role as the sole superpower faced two challenges arising from its tradition and identity: "Americans … had not been accustomed to taking on vast global responsibilities," and "Americans were certainly unready for the moral complexity of wielding such great power (p. 76-77). In addition to such historical and moral challenges, the arrival of Fukuyama's "end of history" also ushered in "excessive optimism and complacency" (p. 89), exposing additional human weaknesses working against the maintenance of a benevolent liberal world order. In a section entitled "The Return of History," Kagan discusses what most (myself included) see as the two key elements at play in today's political dynamics, both domestically in much of the West, and internationally: economics and demographics. However, his treatment is brief and largely limited to their impact in Europe. Thus, one aspect of Kagan's analysis that I believe is underemphasized is the role played by the unprecedented increase in (and generally equitable distribution of) wealth in the immediate postwar decades under Pax Americana in allowing the current liberal international order to take hold. It is true, as Kagan discusses in detail, that postwar Western leaders generally brought to their positions of power a commitment to Enlightenment principles and values. But he does not sufficiently delve into the fact that such leaders would likely not have had the broad political support of their countrymen in their efforts to implement those values if the standards of living and the quality of the lives of their fellow citizens were not on steep trajectories of steady improvement. For many, that is not the case today. Moreover, except for the immediate postwar years, the decades during which the liberal world order was being spread and solidified were also a time when the composition of communities and countries in the West was relatively stable. In my view, this factor is likewise insufficiently emphasized in Kagan's analysis. In addition to the basic needs of food, shelter and safety, people also want to feel they are living among those with whom they share a community affiliation. The significant population shifts in the past few decades — whether through immigration or displacements caused by war, violence or poverty — have eroded this sense of identity and belonging, a development that has undermined societal cohesion and stability and affected political attitudes in many countries, especially in parts of the United States and Europe. 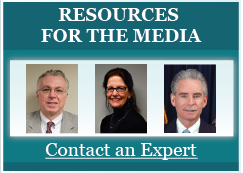 Of particular interest to me and perhaps to readers of this publication are comments Kagan makes about the Middle East, especially concerning recent efforts by American presidents to reduce U.S. involvement in the region. He notes (in my view, correctly) that "to extricate ourselves from the Middle East would mean extricating ourselves from the world connected to and through the whole region." He goes on to assert that "in recent decades we have learned, tragically, that what happens in the Middle East does not stay in the Middle East" (p. 158). Thus, current attitudes among U.S. leaders and the U.S. public towards the Middle East suggest a fourth foible of human nature with the potential for undermining wise foreign policy: wishful thinking. On the whole, Kagan's presentation and analysis of how we got from the early years of the twentieth century to the present day is well-conceptualized and thorough. It provides important context for those who wish to understand (and might bear the burden of dealing with) the challenges of current domestic and international political dynamics: rising political polarization, increasing disdain for experts and elites, animosity towards and distrust of the "other," and declining appreciation for the value and benefits of a rule-of-law-based, free-market-oriented, human-rights-centric international system. Implicit in Kagan's essay is that the human yearning for security, freedom, sustenance, shelter, and personal and family well-being is universal. Likewise universal is a human nature that can undermine efforts to secure these. Peoples and societies must be educated and led in order to ensure that human nature, which can be influenced by any number of human weaknesses — including shortsightedness, denial, inertia, wishful thinking and complacency, among others — does not cause us to lose what we have: a liberal international order that optimizes the well-being of the world's citizens. As Kagan argues, this order is fundamentally precarious, precisely because it is constantly threatened by the frailties of human beings, both those who must implement it and those whose cooperation and support are required for its successful implementation. In my view, these are all valid arguments. To reflect his theses, however, I would have preferred a title less likely to evoke a sense of the need for a benevolent first world to control an unruly third world. More apropos of Kagan's argument would be a title less freighted and perhaps more resonant with contemporary readers, something along the lines of "Human Nature Strikes Back."